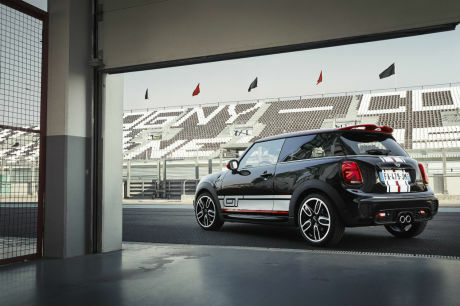 The limited edition Cooper S GT Edition is reserved for the France and limited to 150 copies. Its price starts at 35 900 €. Mini is launching a new limited-edition Cooper S GT on its city car with three doors, making reference to the 1275 GT in the 70’s. Only 150 copies will be available and they will be reserved for the French market. Despite his absence from the World of Paris, a Mini account not be forgotten by the public. The british firm introduces a new limited series, which will be this time reserved for the bodywork of three doors and based on the version Cooper S 192 ch. This Cooper S GT Edition, which will be only available on the French market, inspired by the Mini 1275 GT, manufactured between 1969 and 1980. But, unlike his ancestor, who stood out by its flat hood, it retains the same front as the other Mini. It is distinguished aesthetically by its gray stripes and red current on the hood and trunk, but also on the bottom of the doors and rear wings, with the entry GT. We also note the rear spoiler and the front spoiler red, on which is to be found an inscription GT Limited Edition, such as on the lateral vents. Finally, the Cooper S GT benefits of additional headlamps and door handles and a fuel hatch, Piano Black. Once inside, you note the red insert with the registration GT Limited Edition 3D printed on the dashboard, as well as the door sill with the letters GT lit by LEDS. These two letters are projected on the ground at the door opening. 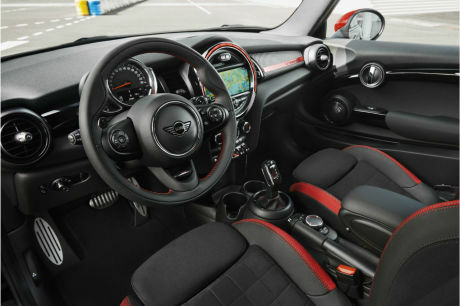 As often with the special series Mini, the standard equipment is very complete, including the back-up camera, air conditioning bi-zone, 18-inch wheels Cup Spoke, the pack Connected Navigation with 6.5-inch touch screen, LED headlights, Sport seats, John Cooper Works, with leather/dinamica, and / or suspension sSport.